The mid-size XPower X-400A performs in strenuous environments, as this centrifugal airmover works great in water restoration and remediation jobs, as well as any janitorial service. 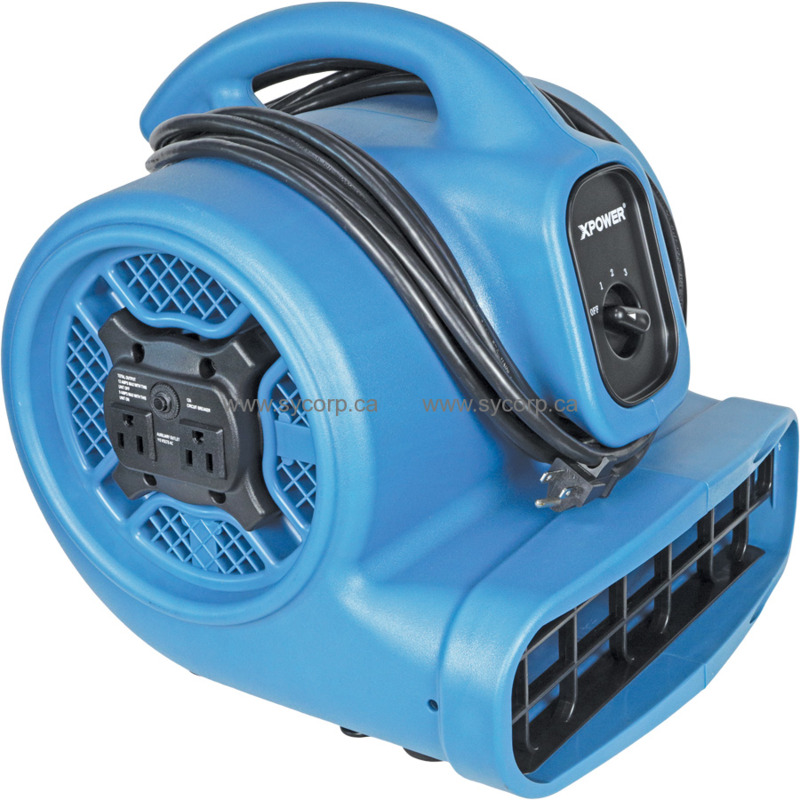 This 17-pound fan is easily maneuverable with its ergonomic handle and 20-foot power cord. Using only 3-amps, it is less likely to trip breakers on jobsites, while the daisy chain capability allows you to tether 2 additional air movers or appliances with the integrated ground fault circuit interrupter (GFCI) panel. Angle for drying floors, furniture, ceilings, walls, and more with the 4 operating positions and 1,600 CFMs of direct airflow. 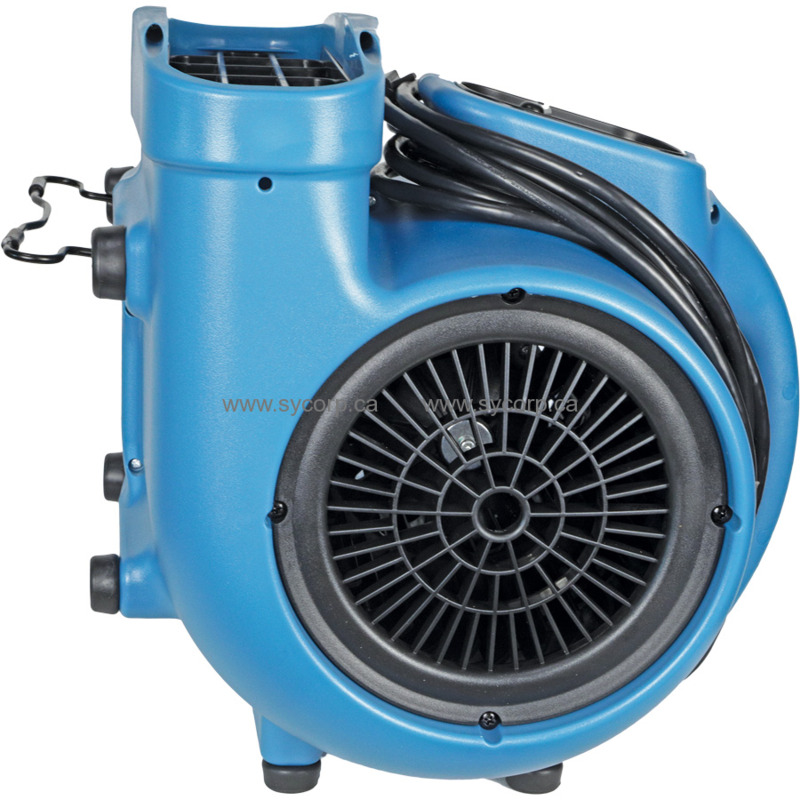 Designed as a mid-size air mover, the XPower X-400A centrifugal fan is great for use in water remediation and restoration jobs, as well as janitorial cleaning. 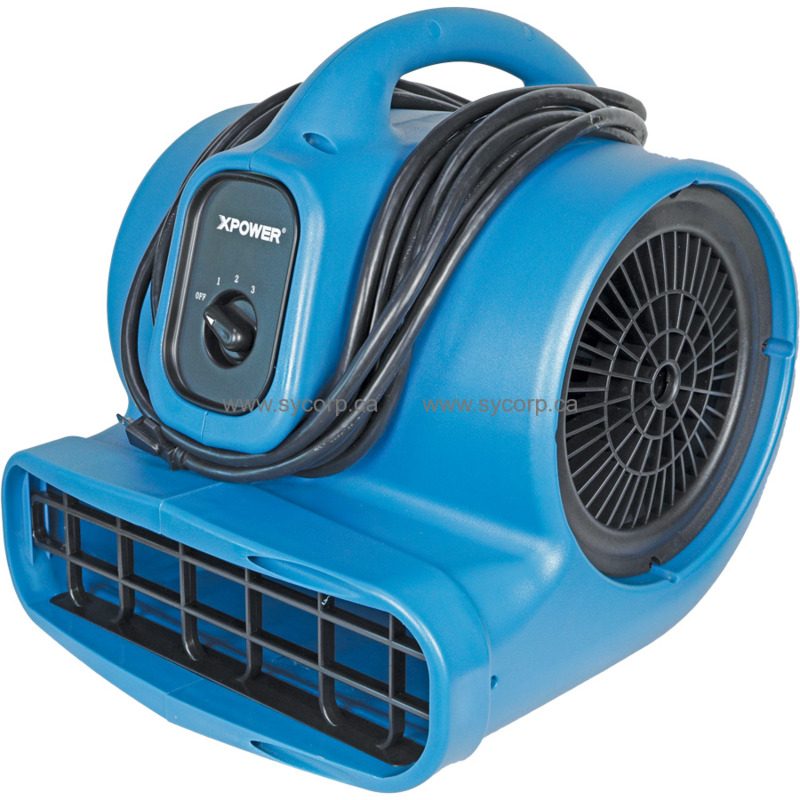 The fan size and 1,600 CFMs of airflow is great for drying out bedrooms, home offices, and other smaller rooms to remove water from carpets, sub-floors, and walls. 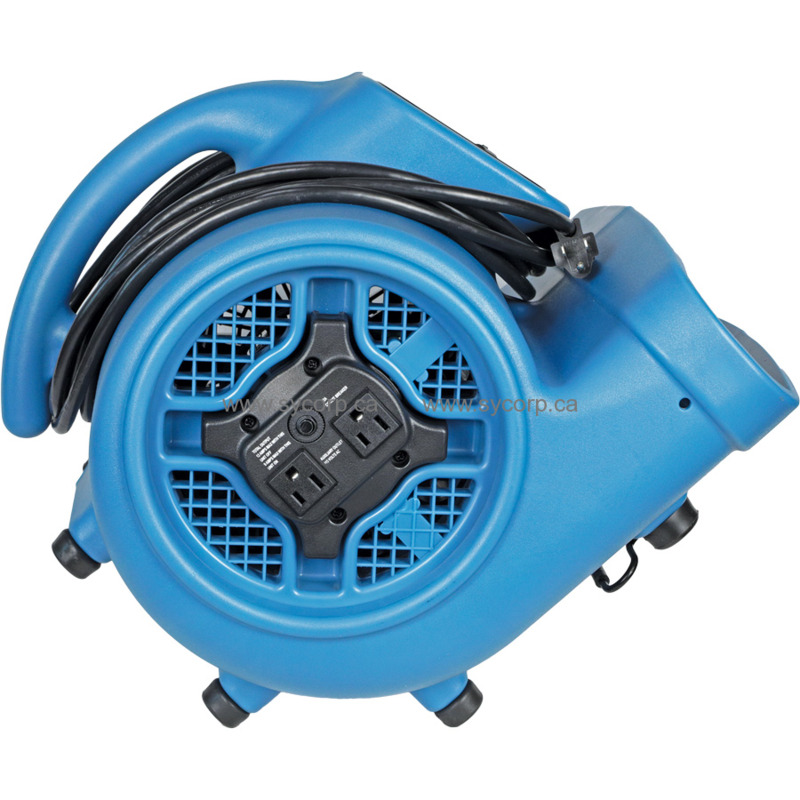 Additionally, use this 17-pound centrifugal fan can be used in hospitality settings after mopping in stores, restaurants, or lobbies where wet floors can cause accidents. Designed to give you more flexibility with drying, the XPower X-400A provides 4 different operating positions. 0-Degrees or Horizontal: Dry flooring in a direct, linear line. Great for bare floors, carpeting, or down hallways. 20-Degrees: Use this angle to dry furniture such as couch cushions, sofa skirts, curtains, wainscoting, and other lower level items. 45-Degrees: Easily dry walls inside your home with the 45-degree angle and the direct airflow. 90-Degrees: Dry ceilings or just circulate air inside stagnant areas with the 90-degree angle. Lightweight: The lightweight housing weighs less than 18 pounds. Power Cord: Easily move the X-400A around with the 20-foot power cord, and reduce the need for extension cords. 3 Fan Speeds: Select between 3 fan speeds: Low, Medium, or High. Cord Management: The integrated cord management holds the 20-foot cord around the body of the airmover. Ergonomic Handle: The integrated carrying handle is easily gripped and provides a secure grasp. Stackable: Stack up to 4 units high for storage inside closets or warehouses.